the final update, the final post for November–phew! 30 posts in 30 days–ha! we did it! While we occasionally struggled to find the motivation to post “right now” we were never at a loss for words about Ethiopia and the children we love, here and there. On the eve of World AIDS day, we’ve chosen to share updates related to AHOPE and Lola Children’s Home, both orphan care centers that serve the HIV positive population. Any orphan-related non-profit working in Ethiopia would be remiss if it didn’t include work with this particular group. Early on, EOR began work with AHOPE, located in Addis Ababa. We added a playground there (our very first project–thank you! ), and have done several smaller projects, including a bedding project (to be completed by the end of December) and a vital alarm clock project. EOR purchased alarm clocks so that caregivers (at AHOPE and in the community) could keep track of medication doses, and times it is given, and these have proven invaluable. Recently, EOR added its newest partner, Lola Children’s Fund. 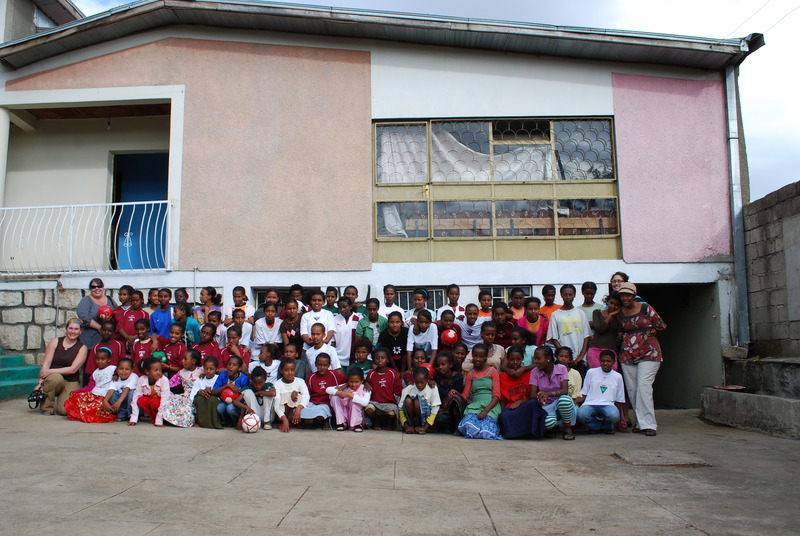 Lola Children’s Home is the brainchild of Abebe Fantahun, an orphan from Tigray who survived the famine. As an orphan himself, Abebe feels a calling to help kids in the same predicament. Working as a social worker at one of Addis Ababa’s only HIV-positive orphanages, he felt a specific commitment to children with HIV. He decided to return to his birthplace to serve the local children, as the founder and director of Lola Children’s Home. Lola Children’s Home houses approximately 20 children. Abebe has permission from the government to expand the orphanage, as well as a commitment from them to provide anti-retrovirals. Unlike many orphanages, Lola serves both HIV-positive children and their HIV-negative siblings, allowing families to remain in tact, without having to be separated due to their HIV status. The eventual goal is to turn Lola Children’s Home into a large-scale sanctuary for orphans. Abebe is in talks with American adoption agencies to provide adoption services for the children. They offer child sponsorships and a sponsorship program for HIV-affected families in Mekele, and hope to extend its outreach to offer more community services for families with HIV and for HIV prevention. 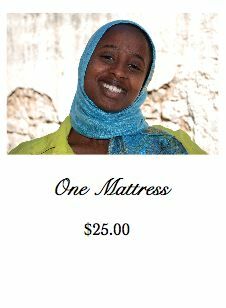 Ethiopian Orphan Relief has already funded its first project for Lola–a bedding project so that Abebe can expand the center more quickly. Board member Katie and EOR supporter Becky visited Lola while they were in Ethiopia last week–we look forward to sharing a more complete update, with pictures! once they have time to recover. There you have it, a tidy list of the projects you’ve supported, the lives you’ve changed. Did you ever imagine that giving a potato could bring such joy? That you would buy the first bed a child has ever slept in? That you would change hundreds of lives with your generosity? You’ve done this all, and more in 2010. I can’t wait to see what you’ll accomplish in 2011. Thanks for reading 30 posts in 30 days. Thanks for being part of 30 posts in 30 days! It’s hard to believe that the school year is coming to an end. Here in Oregon our schools start summer break in a few weeks. As we draw the end to another school year it brings to mind the gifts we need to say thank you to our teachers. Need a gift idea that will fit everyone? I’m sure the teachers love apples but this one is just as sweet. While in Ethiopia this past December we saw a need for new bed sheets, mattress’s and bedspreads at AHOPE. 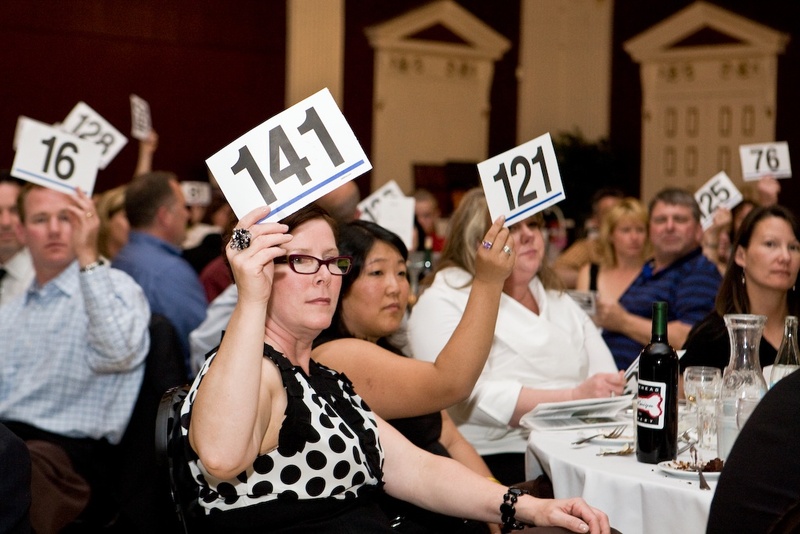 At our Lights of Hope Auction we had a special table for guests to purchase these items. It was a huge hit with guests as they felt they were providing something very specific. This year my son’s teachers are going to receive a card from EOR sharing that a donation has been made in their name and that a donation has been made for a set of sheets for the children at AHOPE. 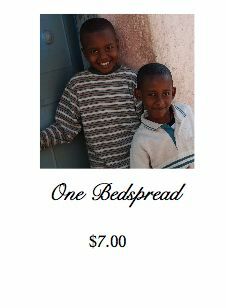 In a few months a EOR volunteer who is traveling to Ethiopia will purchase the sheets/mattresses/Bedspreads in Ethiopia and take them to AHOPE for the children at this orphanage. If you would like to make a donation for this project please click here and specify which item you would like to purchase. If you would like a card sent to the teacher/friend please provide their contact information. Wasn’t that a easy way to purchase a gift! It’s a gift that they will truly appreciate. 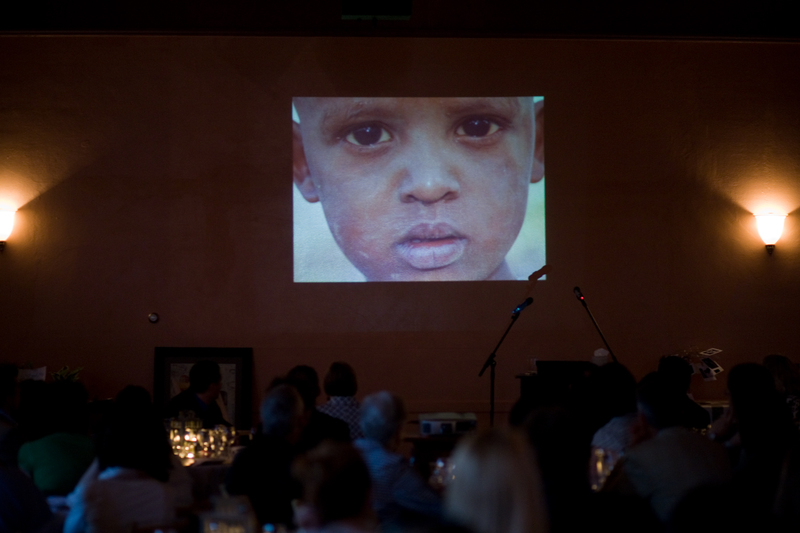 Ethiopian Orphan Relief’s donors made such a difference in 2009. Each donation from $2.00 to $6,000 made a difference. This past December EOR board members traveled to Ethiopia to check on the projects that were completed by your generosity. 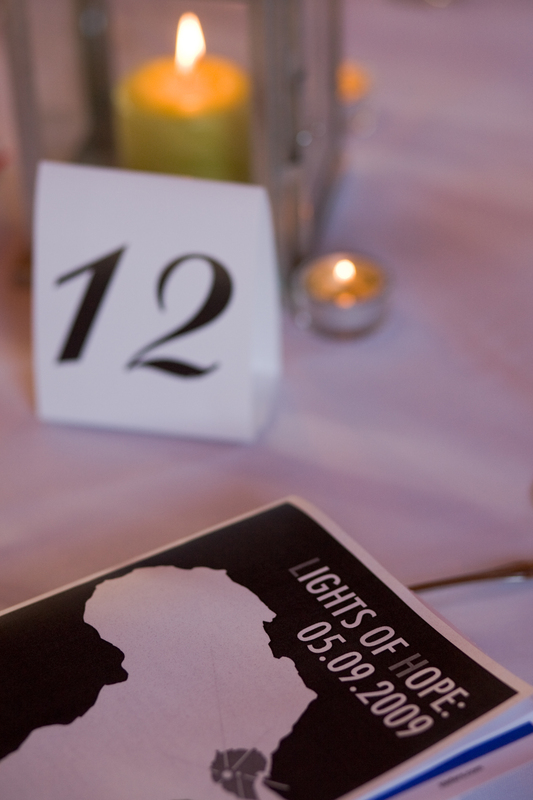 This video was put together for the Lights of Hope May 8th event in Portland, Oregon. Take a look at this video to see the difference you each made. We are starting to get a little warm weather where I live and today we were able to get outside and enjoy the day. While I was watching my kids play I was struck by the thought that there are so many orphans living in Ethiopia who will never get to be so carefree and who will instead bear the burdens and work that are beyond their years. Some of the children who become orphans will end up living at a care center such as an orphanage, which will take on the responsibility of caring for the many children entrusted to them. However, such a big job can not be done alone. That is why I am grateful to be a part of Ethiopian Orphan Relief, who partners with and supports some of these orphanages. By supporting Ethiopian Orphan Relief I can help to give these children some of the simple childhood experiences that they would not otherwise be able to have. 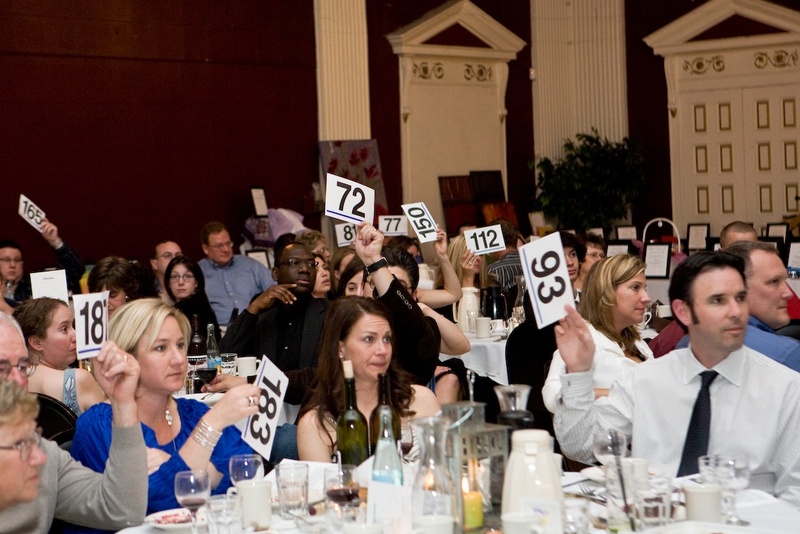 By attending this year’s Lights of Hope Benefit Auction you too can help to give these children the love, care and chance to be a child. We will have jewelry, including the Lights of Hope necklace, beautiful Ethiopian girl’s dresses, perfect for summer which is just around the corner, spa gift certificates that would make wonderful gifts for Mother’s Day or be a very nice treat for oneself, a fishing trip, a two night stay at a spa in Napa Valley, custom made dolls, custom paintings and artwork, a one week stay in Puerto Rico, Dragonleaf Photography photo shoot, family fun at the Children’s Museum and so much more. This is only a sneak peek so we can’t give it all away! 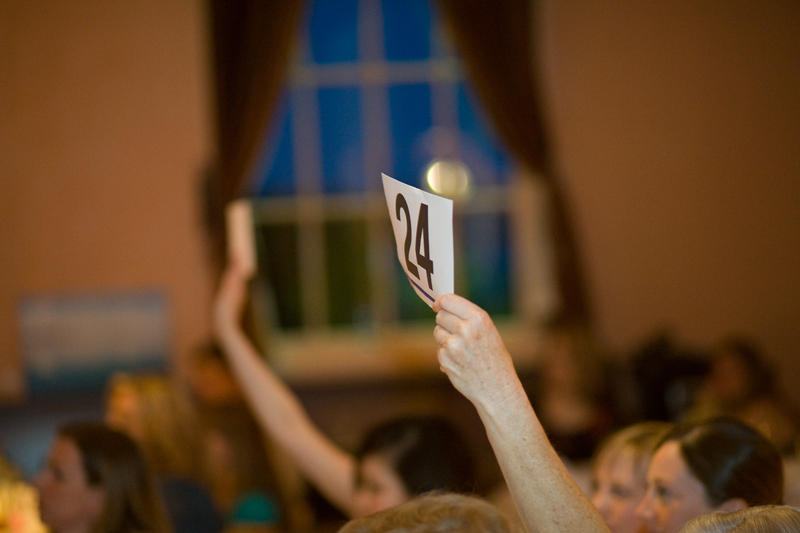 Tickets are $50.00 a person or $380.00 for a table of eight and to purchase a ticket or for more information about the auction please go to our homepage and select Lights of Hope 2010 under Events and Fundraising. 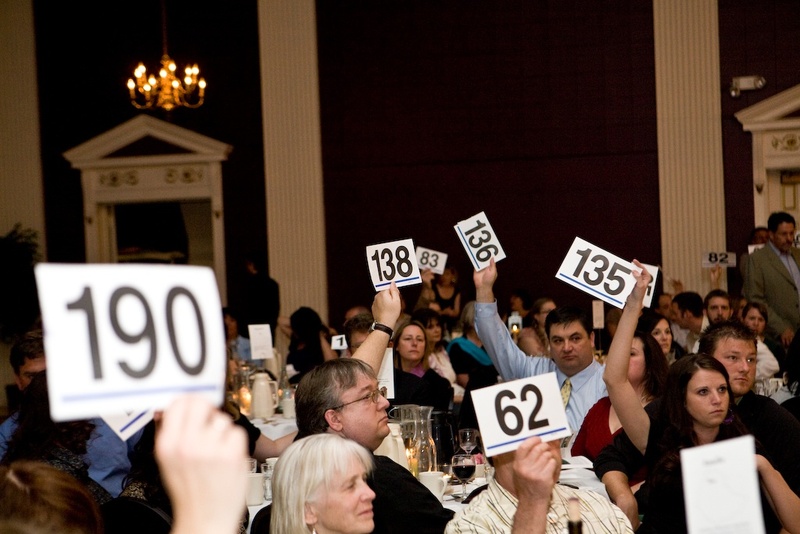 Thanks to the immense generosity of attendees to Ethiopian Orphan Relief’s first annual Lights of Hope auction in Portland in May, we have funded our first project for partner SOS EE (parent organization for the Toukoul orphanages) and raised a significant amount of money and supplies towards medical equipment for their new HIV clinic. Over the last year and a half, we have also successfully raised all of the funds required (and then some!) to complete our first project for partner AHOPE for Children. In fact, we were able to do double what we’d originally planned, thanks to the support of our wonderful donors. For the last several months, the EOR Board of Directors have worked tirelessly to source local Ethiopian suppliers and contractors to set our plans in motion. Once we selected the right folks to work with, we worked with them to design two playgrounds for AHOPE and one playground for SOS EE’s new Akaki complex, which was recently completed and opened its doors to orphaned children. In addition, we have raised enough money to also purchase an indoor swing for AHOPE, fund several field trips for the children at AHOPE and we’ll be bringing over lots of art and school supplies to AHOPE when our Board of Directors travels in December to work on the well we’re building in Boru in conjunction with the Union College Chapter of Engineers Without Borders. Here’s the details! Construction on the playgrounds will begin in the next couple of weeks, and will be completed by the time our Board travels to Ethiopia in December. We look forward to taking lots of pictures of the children playing on the various playgrounds for our donors, and in addition to taking the children at AHOPE on their swimming field trip, we will also be conducting art clinics at AHOPE. We look forward to completing a project suggested by adoptive mom and new Board Member Katie Bell–photo albums for the older children of them playing with their friends and caregivers at AHOPE, so they can take those memories to their forever families when they are eventually adopted. Thanks again to all of you who have supported us! We couldn’t have done it without you! You helped me to realize a dream I had two years ago when I saw my daughter play on her swingset for the first time, and for that, I will be forever grateful. The kids whose day you’ve helped brighten will too. Thank you to everyone who donated to our AHOPE Playground Project! As of this morning, with the receipt of a very large donation from Becky Mitchell of Colorado, we have officially raised enough money to complete the playground! Allow me to gush about Becky for a moment–Becky was the first person I met in the Denver area when we began the adoption process several years ago. She was also just starting out and we got together at a local playground to get to know one another. I knew immediately we’d be friends forever–she’s so happy and positive and FUN (and smart and talented and beautiful..). We’ve been friends ever since and Bryan and I were so happy for her when she brought home her three children from Ethiopia (adding to the two she already had!). Her kids are all awesome and my husband has always had a special place in his heart for her son Taye–at every get together they find one another and play some sort of sport. Becky is a water engineer and has been back to Ethiopia to volunteer on well projects in Axum and in orphanages in Addis. She’s been one of EOR’s greatest supporters and cheerleaders from the very beginning. I love her very much–she’s a super fantastic awesome friend–and I was literally in tears this morning when her donation came through via Network for Good. So, thank you, Becky. Your generosity will be felt for many years by many children who could use more joy in their lives. 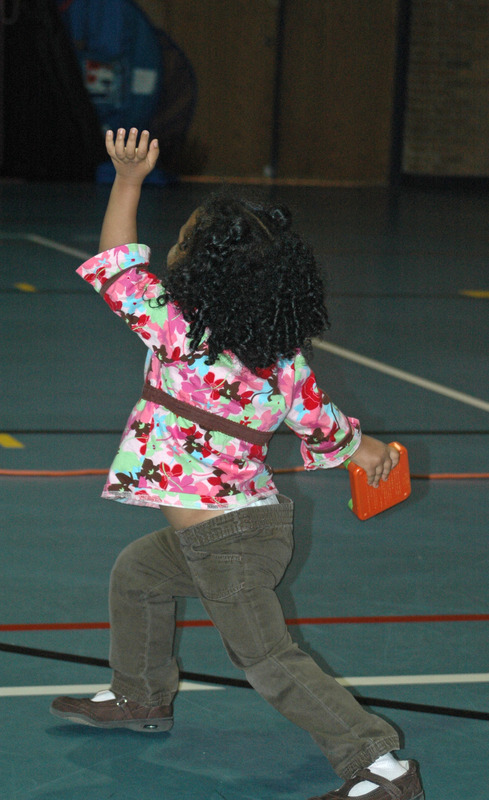 And thank you to everyone who joined us in Bouncing and Jumping for AHOPE’s Playground on Monday night! I had a blast catching up with everyone, my husband may have had more fun than the kids playing in the bouncy castles, my daughter ran wild with all her buddies (and was seen kissing Patrick Bell over pizza…Katie, we’re in trouble!) and although it pains me to say this, Katie totally beat me in our obstacle course run (*cough* even if it was because I was stuck behind an adorable but slow 3 year old in the tunnel and Katie had zero sympathy as she zipped by us..). We raised just under $800 that night!!!! Enjoy the pics! P.S. As soon as we have the details worked out regarding the playground construction (we’re still working on it! ), we’ll announce them here. Pump it Up for AHOPE’s Playground! Please join us on Monday, October 13th from 5:30pm-7:30pm for lots of jumping (to tire out your kids on this day off from school!) and pizza at Pump it Up in Broomfield, CO! All proceeds from this fundraising event will benefit the construction of a new playground at AHOPE for Children in Addis Ababa, Ethiopia. If you pay in advance via the EOR Store, Adult entry is $15, Kid entry is $12 or bring the whole family for $45! If you pay at the door, Adult entry is $15, Kid entry is $12 and family entry is $50 (so save some money and pay in advance!). Entry fees include two hours of jumping, pizza and drinks. To purchase entry in advance and to pay via credit card, please visit our store (entry fees are listed under “Donations to EOR”, then “Adult Entry Fee, “Child Entry Fee” and “Family Entry Fee”. Entry fees can also be paid via check at the event, although the family entry fee will be $5 more. Additional tax deductible donations to the AHOPE Playground Fund may also be made via our website, store or in person at the event! Thanks for your support and we look forward to seeing you there! 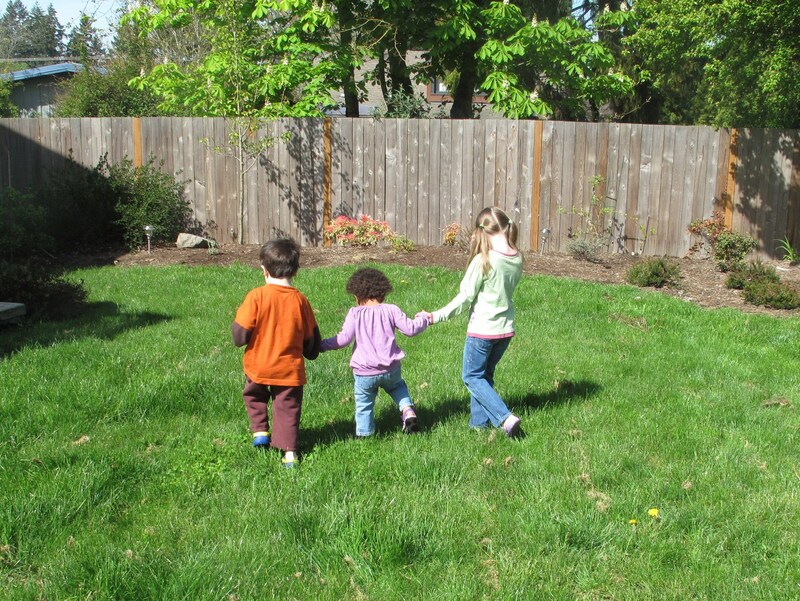 Many of the children at AHOPE will be adopted, but most of them wait far longer than other orphans to find families. They brave each day as the most vulnerable of citizens, not just orphans, but orphans with the stigma of HIV. While they are well-loved and cared for by the nannies, they do not have many playthings. A lollipop is worth big smiles and a simple bottle of bubbles brings gales of laughter. Most of us have visited Ethiopia for our adoptions or soon will. We know the overwhelming poverty and hope that exist side-by-side in our children’s birth country. We know that our obligation to Ethiopia did not end but instead began when we brought our children home. We want to make a difference, but do not always know how. Today you can make a difference. Ethiopian Orphan Relief, Inc. (EOR) (www.ethiopianorphanrelief.org) is raising money to buy a swing set for the children of AHOPE. We are hoping that we will be able to raise $5,000 to pay for the swing set. Please join us in bringing joy to some of the children that we left behind. More so, join us in sending a message of love and hope to these children. 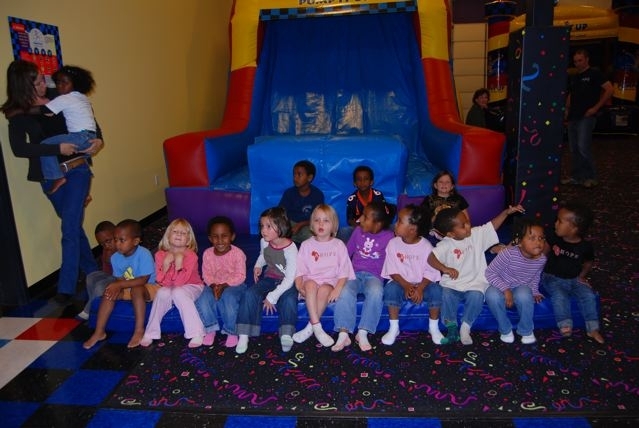 Imagine their faces as they slide down the slides, swing on the swings and climb the rock wall. 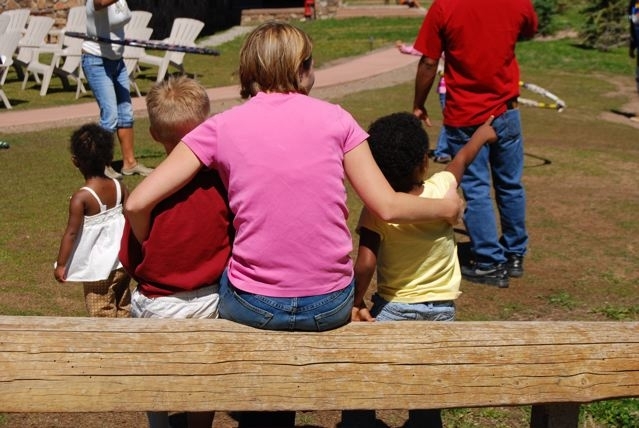 Imagine AHOPE’s nannies relaxing on a porch swing, stealing a quiet moment to reflect on their day. Time is of the essence with these donations, as the funds for the swing set must be ready by the last week of October 2008. Thank you for considering donating to this worthy cause.